WWE's annual Hell In A Cell PPV will kickoff tonight, September 16, at 7pm ET from the AT&T Center in San Antonio, Texas. There are eight matches on the main card including two that will take place inside Hell In A Cell - Jeff Hardy vs Randy Orton, and Braun Strowman vs Universal Champion Roman Reigns with Mick Foley as special guest referee. The matches will take place inside a five ton, 20-foot-high roofed cell structure surrounding the ring and ringside area. The haunting Hell In A Cell match was first introduced at "Badd Blood: In Your House" in October 1997, where Shawn Michaels defeated The Undertaker thanks to some interference from Kane, who made his debut at the event. Since then, there have been 38 other Hell In A Cell matches including those that took place at the actual Hell In A Cell PPV, which the WWE introduced in 2009. In honor of tonight's Hell In A Cell PPV we're taking a look back at those memorable HIAC matches that took place at the PPV over its 9-year existence. 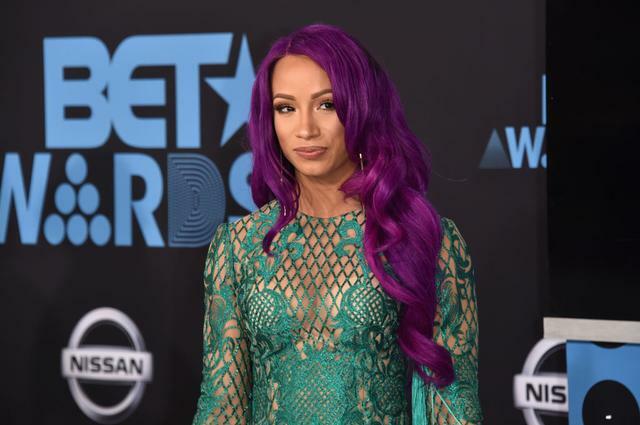 The feud between Kevin Owens and then-Smackdown Commissioner Shane McMahon - which had been brewing for weeks during the Summer of 2017 - got personal when K.O brought Shane's wife and kids into the mix. 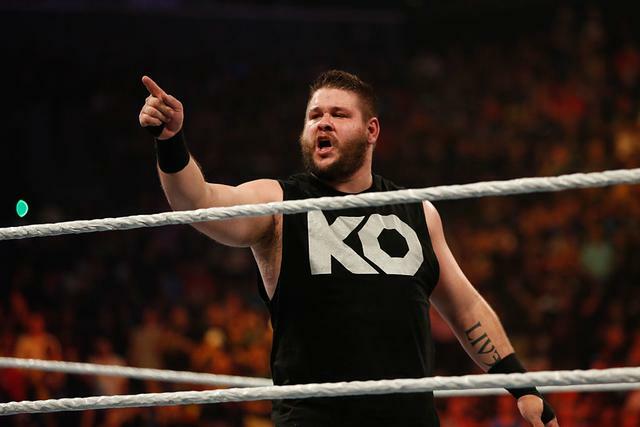 Owens then assaulted Shane's father, WWE chairman Vince McMahon, furthering escalating their beef. Naturally, the bad blood led to a Hell In A Cell match that served as the main event of the 2017 PPV. Shane O Mac has always been willing to go the extra mile and put his body on the line for a big spot and that's exactly what happened in this match, as he leapt from the top of the 20-foot cage in an attempt to bury Owens who lay on the announce table. Unfortunately for the McMahon family, Owens' longtime friend and rival, Sami Zayn, unexpectedly appeared from the crowd to make the save in the nick of time. That moment in itself makes this one of the most memorable HIAC matches in the PPV's history. After weeks of being ambushed by Cody Rhodes and Ted DiBiase, aka "The Legacy," Triple H and Shawn Michaels should have had their heads on a swivel as they made their way to the ring for the HIAC main event at the inaugural PPV. Alas, they did not. The heels attacked the D-Generation X leaders before they ever made it into the steel structure and the action quickly picked up from there as the fight spilled over into the crowd and back up the ramp. Before long, Rhodes and DiBiase were able to incapacitate Triple H and lock HBK in the cell by himself. This tactic furthered the ongoing storyline of The Legacy using their "divide and conquer" strategy against the two icons as the tag team bout turned into a handicap match. That is, until Triple H retrieved a pair of bolt cutters from an equipment manager behind the scenes, or possibly the local Home Depot, and flipped the script. The 2016 Hell In A Cell PPV featured the first ever women's HIAC match, pitting Charlotte Flair against Raw Women's champion Sasha Banks. The match rightfully headlined the event at the TD Garden in Boston, where Banks began her professional wrestling career. The bout itself will not be remembered for being Charlotte and Sasha's greatest performance of all-time, but the momentous occasion paved the way for other women to compete inside Satan's Structure and it is therefore among the most memorable Hell In A Cell matches ever. Ever since Seth Rollins aligned with The Authority and abandoned his Shield brothers in June of 2014, he and Dean Ambrose were on a collision course for a brutal Hell In A Cell showdown. The payoff came nearly five months later in the main event of the 2014 HIAC PPV, where the two bitter rivals kicked things off on top of the cage. Technically, Rollins sic'd his two sidekick jabronis up to get Ambrose but when they failed he had no choice but to scale the cell himself. Chairs, tables, kendo sticks, stretchers, a fire extinguisher, cinder blocks, the Money In The Bank briefcase, and a surprise run in - everything was in play as The Lunatic Fringe and The Architect put on a show that lived up to the hype. Any time the Undertaker is involved in a Hell In A Cell match it adds an extra bit of electricity to the match, and that's especially true when he's going one-on-one with a mainstream star like Brock Lesnar. The two squared off inside Satan's Structure in the main event of the 2015 Hell In A Cell PPV, the sequel to their first HIAC encounter which came 13 years earlier at No Mercy in 2002. Once again, The Beast Incarnate reigned supreme over The Deadman. Taker bloodied Brock during the match, which required eight stitches after the fact, and later chokeslammed then tombstoned the UFC star onto the exposed ring floor but it wasn't enough to put the Beast to rest. Lesnar ultimately connected on multiple F-5s, including a third that came after a low blow on the exposed floor, to pick up the win. However, that wasn't the end of the PPV. Once again, Bray Wyatt made an unexpected appearance inside Hell In A Cell, this time joined by the Wyatt Family, whom overpowered The Undertaker and carried him away setting up his next feud.